1. 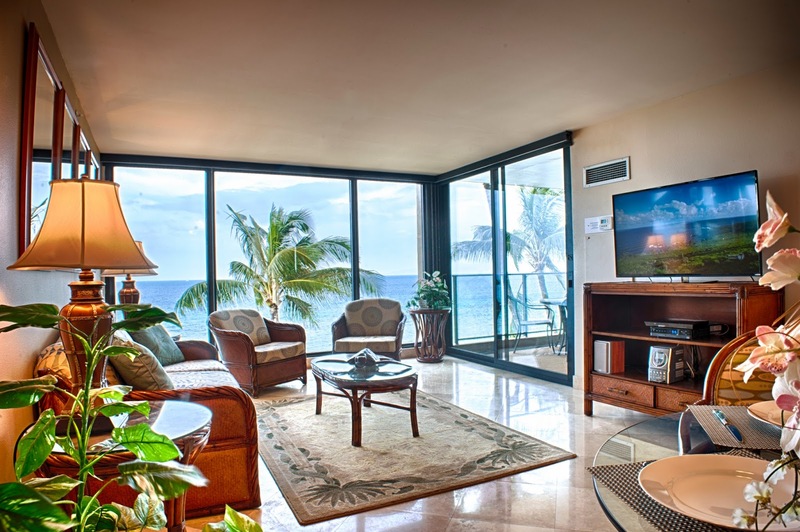 Accommodations: There are 2 main resort areas on Maui; Kihei / Wailea / Makena on Maui's south side (30 minutes from the airport) and Lahaina / Kaanapali / Kapalua on the west side (45 minutes to 1 hour from the airport). Determining which location is best for you will pretty much determine which beach or Maui venue you will be using on your special day. Both resort locations feature 5 star hotels, Timeshares, condo's and B&B's in all price ranges, as well as discount hotels. If you are looking for hostels, they can be found in the north shore towns of Paia and Wailuku as well as on the west side in Lahaina town. Consider your needs and budget: eating out every night or need a kitchen to cook meals? Staying with friends in a $225.00/night 2 bedroom condo with laundry facilities or do you need a cozy $750.00/night room in a 5 star hotel? Proximity to beaches is probably something to think about when choosing your accommodations so be sure to ask if the beach is within walking distance if that is important to you. Maui is also famous for her golf courses so keep that in mind if you love to golf. For most Maui travelers, a rental car is mandatory however Maui does have a public bus service. 2. Budget: Your Maui wedding budget should be something you have thought about and you should have realistic expectations of what that budget buys. Many people don't realize that the 2000+ mile flight from the mainland means that all the goods sold on the island have to make that trip too! Your budget should include all the amenities you would like to have to make your dreams come true. Basic Maui Wedding Packages can run from $495.00 into the tens of thousands of dollars depending on what you want and with whom you contract. Photography, location, reception, florals, transportation, all of these items and more need to be prioritized in order of importance when you begin shopping for your Maui wedding. There are numerous vendors in the Maui wedding industry and their prices run the gamut from bargain basement cheap to champagne taste expensive. Generally speaking, you get what you pay for so get a feel for what's out there and go for the guys who have nice websites, quick and friendly responses and mid range pricing. 3. Location: There are basically 3 choices here; a beach wedding (all beaches are public in Hawaii), a semi private venue such as a golf course, restaurant or hotel lawn, or a private estate wedding. Each location has its particular charms and its individual drawbacks, depending on how you look at it. Cost is the biggest factor with the private estates running the highest for site fees and catering however you can have a large tent erected for guests at dinner, put together a bar set-up, have either a live band or DJ (until 10pm), lighting set-ups, an arch for the ceremony, chairs for guests, the options are only limited by your budget. The semi private venues usually have cheaper site fees than the private estates and since there is a restaurant on site, dinner can be had after the ceremony and guests stay all in one place. There's also ample parking and meals at the restaurant are generally less expensive than the catered type where you have to pay for linens, tables, etc. The beach is probably the most popular choice for Maui wedding couples and should be included in the price of your Maui wedding package. There are however some restrictions: No arches, chairs, amplified music or tiki torches and Kaanapali Beach is strictly off limits to weddings. On the plus side is, of course, having your toes in the sand the ocean behind you and an unobstructed view of another fabulous Maui sunset. 4. Maui Wedding Planner: There are probably 100 companies doing wedding planning for the 6000+ weddings that occur each year on Maui. There are a couple of organizations for wedding professionals your can check that has a list of planners, photographers and everything else you would need for your Maui wedding. While not a comprehensive list it is a start and you still have do your due diligence! Check their website. Does the website look professional? Check on their imagery and be sure you like the quality and style of the photography on their site. Check their packages and see if they include the things you like or if you have the chance to add-on. Look at the pricing, are they withing your budget? After you narrow it done to 2 or 3 companies, call them on the phone or email them to set up a phone conference. There's nothing like a chat over the phone to get a sense of whether or not they will be a good match for you. 5. Maui Photographers: There are dozens of highly qualified photographers on Maui and their packages pricing varies. Check out their website and see of you like the style of the imagery. Look for a variety of images; beach weddings, estate weddings, ceremony shots, candid work, detail shots. Have a conversation with the photographer about how much time you'll need to spend with her to get the imagery you want. generally, we find that 1 hour with just the couple or their small under 10 person entourage is plenty of time while we prefer 4 to 6 hours with a larger group at a private venue. Ask yourself if you want reception coverage, that will add 2 to 3 hours to the package. Do you want pre-wedding shots of the bride getting ready in room? Some photographers charge for a change of venue, other don't. Ask about reproduction rights. Some photographers sell rights to the digital files as part of the package price, others give you the low res files and then you have to purchase the high res, others charge for editing and retouching the files, others include that in their pricing. Ask these questions so you won't be surprised or disappointed. 6. 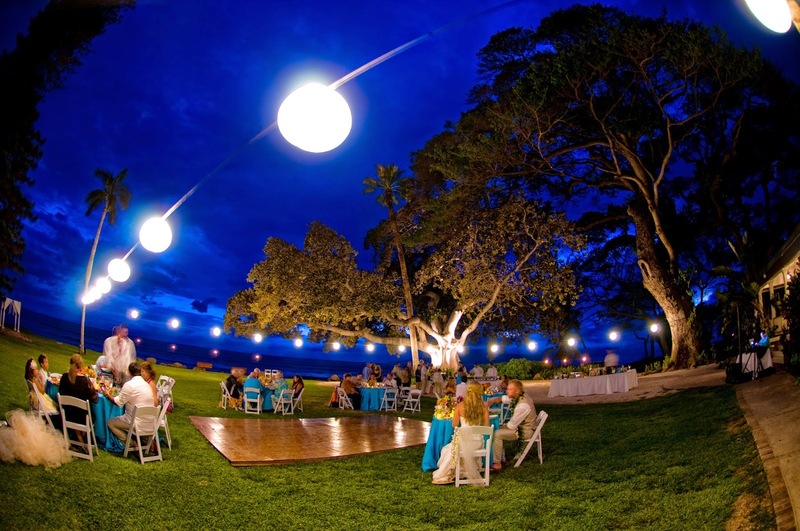 Maui Wedding Reception: The most popular idea we've heard about receptions is a luau. Luau's are fun and they exude aloha to those that are lucky enough to attend one, but we recommend doing that another day. The reason to not choose a luau as your reception is timing. Luau's will start 1 or 2 hours before sunset. We like to perform our wedding ceremonies 1 or 1.5 hours before sunset, especially on the beach, because it starts to cool, people are leaving the beaches and the light softens. If you have to be at a luau at 4:30 and sunset is at 6, we are doing your wedding at 3:30 and it will be hot and there will be plenty of people on the beach. There's a reason everyone on the beach is half naked at 3pm! There is however an opportunity to do a Luau Reception without sweating through your wedding dress and that would be to have a morning wedding around 8am when its still cool and the beach goers haven't hit the beaches yet. If this doesn't work, there are plenty of fine restaurants on Maui and some of them have private rooms or cabanas you can rent for your party. Some of them are close to or on the beaches where your wedding can be held. 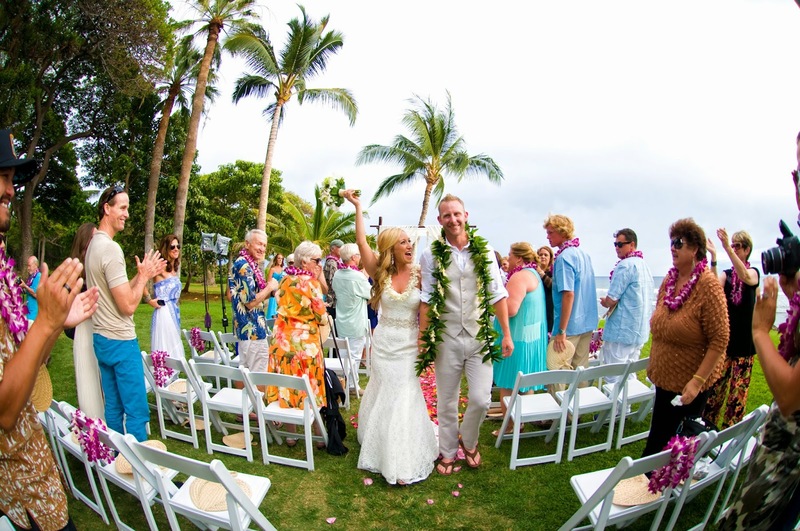 So ask your Maui wedding professional about these venues and they can surely help you out. We hope this has been an informative article and wish you the best of luck with your Maui wedding plans! A hui hou.